A change of target group will invariably present a challenge for any company. For one thing, attracting new customers is invariably laborious; for another, the sales and distribution division will need to adopt fresh approaches based on new knowledge. The deployment of a WebGIS system can support such change processes. Here is an example from the car parts business*. In this situation, a wholesaler for vehicle parts acquires another company whose clients include wholesalers and parts distributors, but not workshops. However, our example car dealer has defined workshops as its main target group. For sales representatives, this will mean a radical shift in terms of customer support and acquisition. For this reason, the car spares dealer is looking for software that performs two functions: determining potential new workshop customers, and providing information and assistance to the sales team. The decision was made to implement a WebGIS system which develops WIGeoGIS for the individual company. “WebGIS is uniquely effective at identifying new customers and planning efficient client visits. Thanks to the application and the focus it gives every sales representative, we were able to gain 800 new clients in a year by targeting them specifically. By comparison, we attracted just 150 in the previous year,” reveals an agent responsible for vehicle parts at the wholesaler. Since WebGIS shows employees all car workshops within their sales area, staff are able to plan visits with a view to customer acquisitions. The sales processes are going well: a year prior to the WebGIS introduction, the car parts dealer was generating 35 percent of turnover through specialist car dealers, i.e. the old target group. Following the deployment of WebGIS, this proportion of sales has fallen to 15 percent while overall turnover has remained at the same high level. “The reduction in the number of retail customers has been covered by the acquisition of new clients and more efficient customer support in the workshop area. Our sales level has remained stable despite the fact we are pursuing a totally different target group and undergoing a process of change in the composition of our client base. 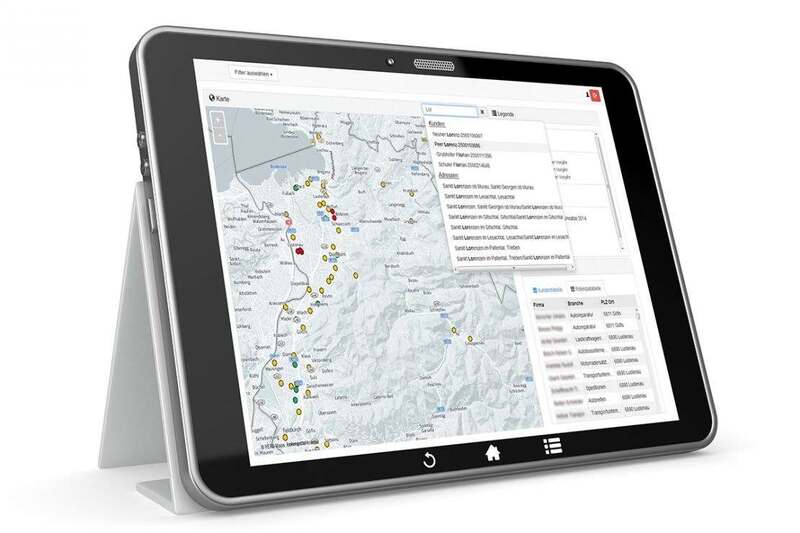 The WebGIS system of WIGeoGIS has made the difficult process of attracting new clients very simple and effective,” believes the responsible agent at the car parts dealer. The fact that all sales representatives now use the WebGIS system of WIGeoGIS is partly down to one small trick. Employees can only claim their travel expenses using the software, so sales specialists complete claims at time of planning a sales round. In this way, claims are lodged on the second or third day of the month, rather than the middle of the month. The company has already managed to cut the time taken on payroll accounting by around 70 percent as steps such as recalculating travel expenses are performed automatically in WebGIS. * Case study based on a real user report. The company name has been withheld by the editors on request.